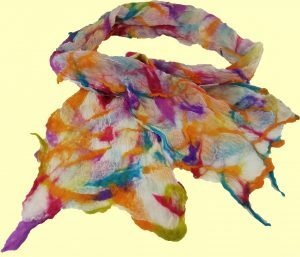 Nuno felting is a wet felting technique credited to have been invented by Polly Stirling from Australia in 1992, however, there are records of a laminated felt in Europe some 10 years previous. Fibres are meshed into a substrate, usually silk gauze, although cheesecloth, muslin or gauze can be used. 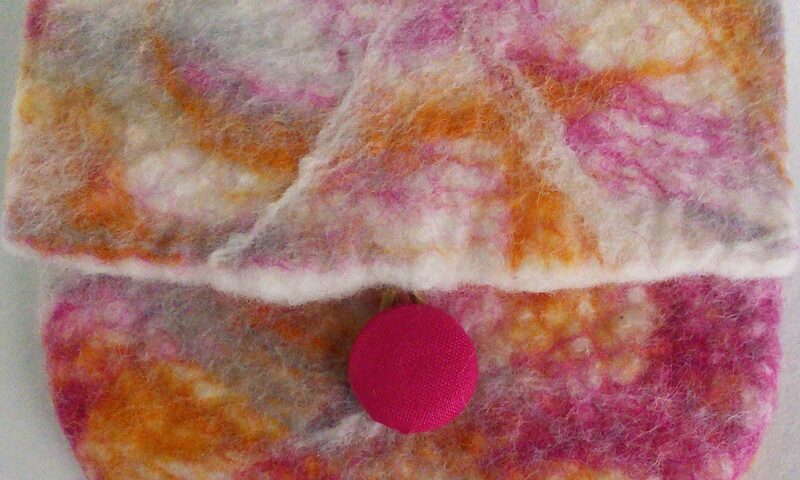 Areas of the fabric are left without wool fibres and these crinkle as the felt fulls and shrinks. 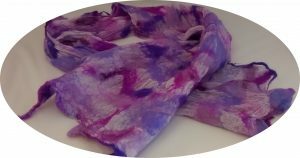 This creates a lightweight drapey fabric perfect for scarves, wraps, jackets etc. The name is Japanese in origin as nuno means cloth.